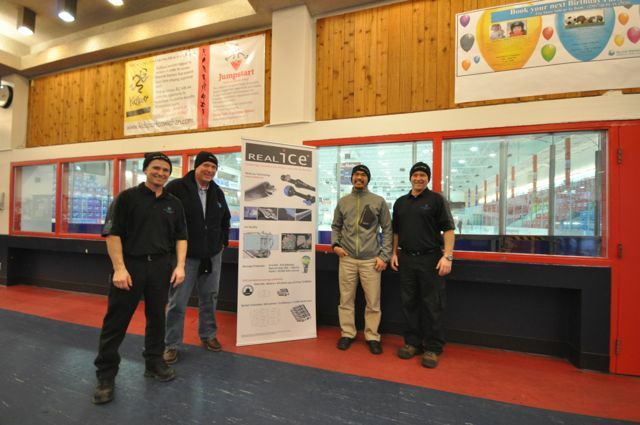 REALice BC Tour 2014 with the Ice Makers Team and Energy Manager at Island Savings Centre. 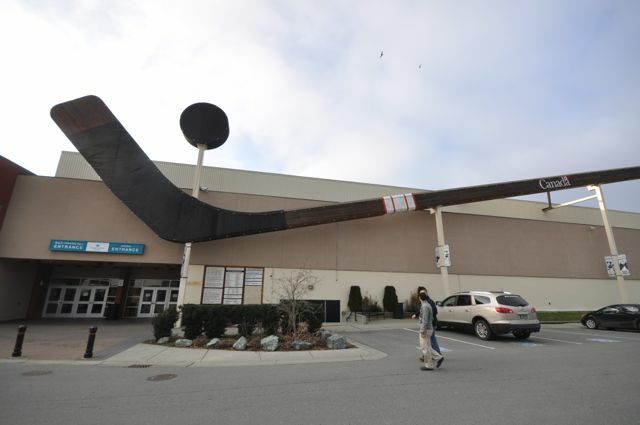 World's biggest hockey stick and puck at the Island Savings Centre at Duncan, BC. Junior practice on REAL ice at Island Savings Centre in Duncan, BC. Juniors practicing on REALice. Waving second ice clean after 75minutes. 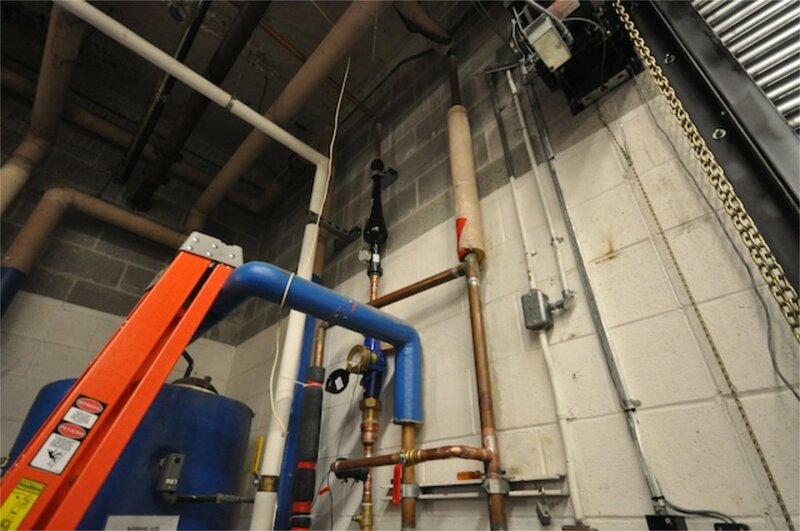 They didn't notice any difference in the ice quality from before REAL ice was being used. 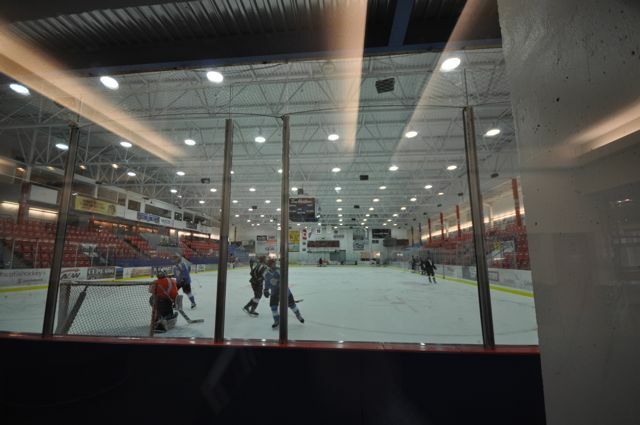 The Island Savings Centre, site of the World’s Largest Hockey Stick and Puck, is home to the BC Hockey League Cowichan Valley Capitals, minor hockey, figure skating, and public ice programs. 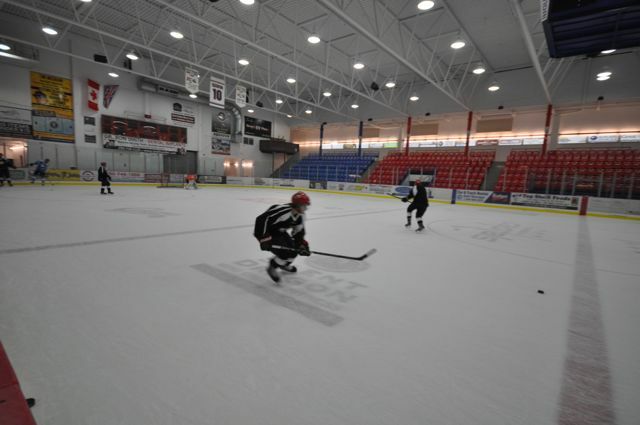 During the dry floor season the Cowichan Arena is used for lacrosse, trade shows, conventions, special events, roller hockey, and in-line skating. The Vancouver Canucks have hosted their Training Camp at least three times in Duncan (1980, 1984, and 1986). 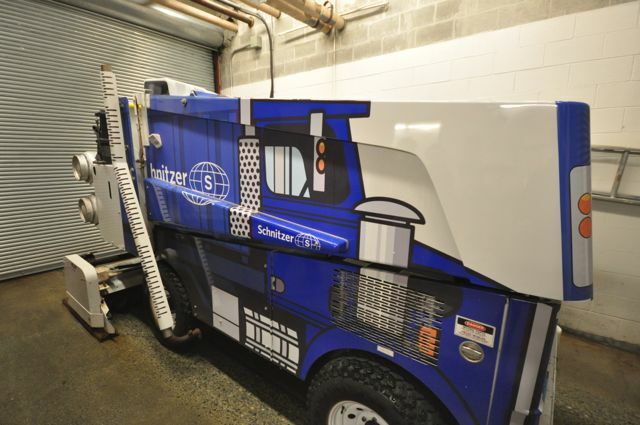 Features: NHL regular size ice surface, 85 ft x 200 ft, 1400 permanent seats, 1000 portable seating, five dressing rooms, referee room, and a skate sharpening room.